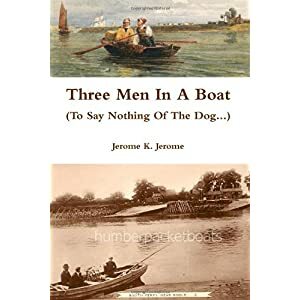 Three Men in a Boat (To Say Nothing of the Dog...) by Jerome Jerome is a travelogue of a boat trip up the Thames River in the late 1800's. There are many misadventures and hilarious scenes as three friends travel up the river from London to Oxford. It includes history lessons as they proceed past towns and locations such as Magna Carta Island. One of our members found a really nice, illustrated edition at McKay's.